First published in December 17, 2014. This article by Professor Michel Chossudovsky was granted the 2015 Project Censored Award. Ranked No. 5 among the 25 most censored news stories. « In the days following the 2011 earthquake and nuclear plant explosions, seawater meant to cool the nuclear power plants instead carried radioactive elements back to the Pacific ocean. Radioactive Plutonium was one of the elements streamed back to sea. » (decodescience.com). A recent report suggests that the Japanese government is intent upon releasing the remaining radioactive water into the Ocean. The proposed « solution » becomes the cause of radioactive contamination of both the Japanese coastline as well as the Pacific Ocean, extending to the coastline of North America. 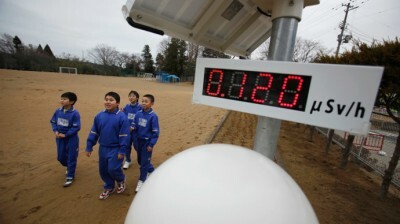 « While (the idea) may upset people, we must do our utmost to satisfy residents of Fukushima, » Tanaka said, adding that the NRA would provide information to local residents based on continuing studies of radioactive elements in local waters.